Need to move a piano and need to a van to transport the piano? e-Van Transportation can organise Piano Removals with our experienced piano removals experts. 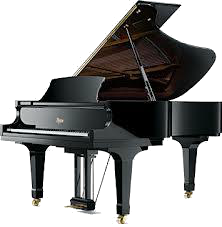 Piano Removals is a specialist moving service and should not be taken on by anyone not trained in piano removals, and in possession of specialist piano removals equipment. Piano removals requires special equipment in order to safely move the piano, due to the immense weight of a piano, and the delicate nature of these finely tuned instruments. Untrained movers could not only do themselves an injury, they could damage you piano externally and internally and affect its sound. Piano Removals requires two strong people, with manual handling training in order to safely lift a piano. A four-wheel dolly (flat-bed trolley) is a must for moving the piano from its location to the van or truck and from there to its new location. A suitable metal ramp with the ability to hold sufficient weight will be necessary for loading the piano onto and off the truck or van, and it may also be required for getting the piano out of the house or apartment. An even better solution for loading the piano onto the van/truck is a tail-lift. Once inside the van or truck the Piano must be secured so that it does not move around in the van or fall over. Ratchet straps are a suitable method of securing the piano. It should be lifted off the dolly and secured with ratchet straps whilst protecting the wood, e.g. by covering the piano with a blanket before applying and tightening the ratchet straps. e-Van Transportation’s associates will ensure you piano is transported safely and will adhere to all the necessary safety measures. They can move both upright pianos and grand pianos.